I was inspired by Bainbridge's Vocabulary rock 'n roll, so I made my own. Toss your vocab. words in a paper lunch bag. 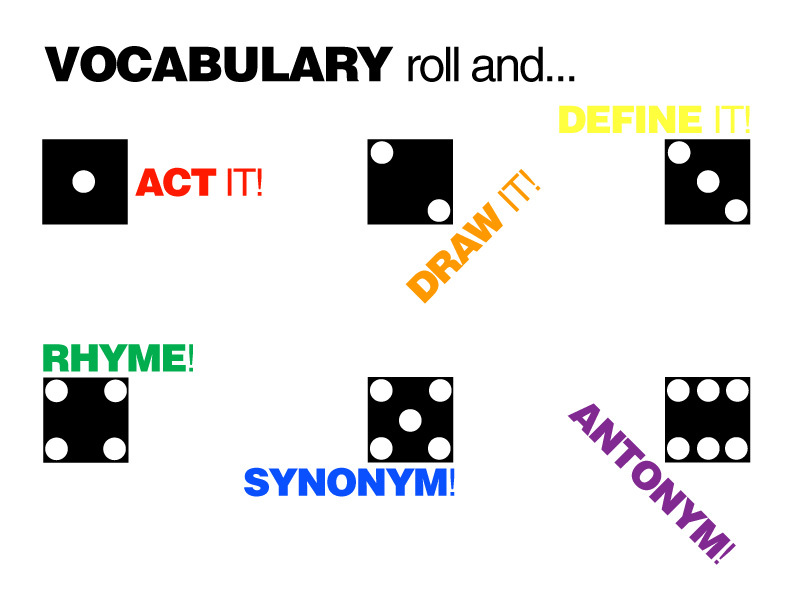 Have kids roll a die, pull out a word, and either act, draw, define, rhyme, or give a synonym or antonym. It all depends on what they roll! Also, check out Word Wheel!